Many years ago I realized that although I was obedient to God, I was a grumbly obeyer (not sure obeyer is a word…). I’d do whatever He asked, because my heart wanted to obey. But my attitude while I obeyed was completely wrong. Inwardly, I’d complain, grumble, and resent every obedient step. Can you relate? Are there certain things you do in obedience, yet on the inside you are murmuring and whining? To me it feels like my attitudes wants to hijack my day. But God in His grace finally showed me that obedience with a bad attitude wasn’t really obedience at all. I was so busted. There are days I still struggle. So I’ve asked the Lord to make me aware the very moment a bad attitude tries to take over. I’d love to hear your thoughts on what you’ve discovered about your attitude (come on, now, tell the truth!) 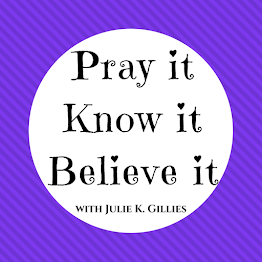 this week as you’ve prayed. If you’re reading this via email please CLICK HERE to leave a comment! 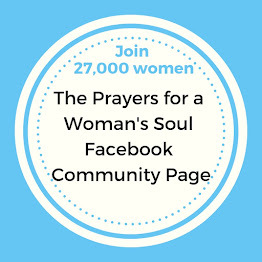 Remember to chime in on the (completely optional) "Prayers for a Woman's Soul" FACEBOOK community page. Want to join our online study? I'd love for you to! Please CLICK HERE for details. Thank you for all you do. I am so struggling with my attitude as a new Christian who started doing a pre primary class every Sunday, I have been stressed and upset after each class, the parents looks have been intimidating. I just wanted to cry and quit each week. I will continue turning to God in prayer but hearing your words, examples etc have truly been a blessing to me. God is so great & awesome! This study has come at just the right time in my life, a time that could be very stressful & easy to have a poor attitude. Thanks to praying daily about my attitude I've been able to have peace about the events coming up, but as the weekend approaches, I'm finding I need to be even more diligent in keeping focused on being positive. To anonymous above: Bipolar is no fun (my husband has suffered with this for years)-- hang in there, God loves you & will help you through your low times. Julie: can't wait to see what you have in store for us next week! Exciting things coming up in my life & this study is the perfect preparation for it all! Thanks & big hugs to you for listening to God & sharing with us. to be truly honest, I believe I have failed misraebly. The more I prayed, the more the enemy came in tried to steal my joy. We have had sickness, hospital ER stay, teenage daughter and overbearing parents(mine). They have all reared up at one time. Then the tired set in and there went my attitude. I see that the Lord is trying to grow me like never before, because of all of the opposition I(and my family) am coming up against. But let me share what having wonderful Christian friends and coworkers will do for you. This morning I was reminded that we should do all things as if we are doing them until the Lord. With that perspective and truth, it's hard to have anything but a good attitude. I don't mean to whine but I thought maybe somebody else might be going through the same thing. Thank you for this study !!!!! It is so unsusual for me to have a bad attitude, but on Monday I had a horrible one. I am chalking it up to overload in my life (family issues, allergies, work, trying to lose weight, and more). Not to excuse it, but it is unusual for me. However, it may have been a blessing because this study helped me look at it. I have been praying about my attitude all week and still praying about my mind. On Tuesday, I found myself in bed all day--sick due to allergies. Still struggling today, but my attitude is good. I still have all of the issues that I listed above and a few more have crept up, but I don't want to let them dictate my attitude. Thanks for this study. I hope to begin leading a small group at my church and plan to study your book with the group. Wow, the Lord is showing me my attitude of my heart is not good it is fearful. I want a quiet and peaceful spirit and not a fearful one. Yesterday, it showed up with my husband and it came out very disrespectful to him and I had to ask for forgiveness. I see that learning something that needs fixing such as my attitude is going to be a process not a miracle. Pray for my marriage and my husband to be able to forgive me and help us work through this. This study is awesome. My attitude has always been positive, but since working, going to school and doing ministries at church I have been a little overwhelmed and it caused my attitude to be sour. Since I have started this study and giving everything to God I have felt a weight lifted off my shoulders. Thanks for all you do. 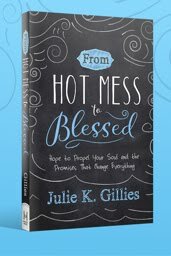 This study has really helped me identify and target the negative thinking and attitudes that hold me back from being the woman God wants me to be, and from embracing the life he wants for me! Thank you for helping me see how insidious Satan is, working in our minds and attitudes, and giving me the tools to turn him away and turn to God. I am praying to turn my mind and attitude to God! I love how God has brought this study to me and so many others at "just the right time". He has been working with me around my attitude towards my church. I have been struggling for awhile and this week He has been helping me to get to the root of my thoughts and attitudes. I tend to be positive and minimize trivial issues, but I am learning that I sometimes am really internalizing the things that bother me instead of speaking up in love to help make changes. I am an elder who is not currently serving on session, but feel God is calling me to speak up on some issues. Pray for me to have wisdom and discernment. I want to sort out what issues God wants solved and which ones are more about my personal preferences. Not easy! 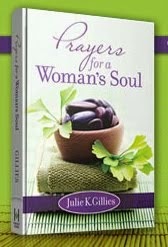 Thanks so much for this study...God is using it to speak to me in very special ways. Since beginning this study, I am recognizing many negative attitudes that I have. It seems my first response is always a negative one. I'm in a "retraining" camp I feel. This study is helping me to intentionally change my response (and it is a concentrated effort) to one more positive and expectant. As you said "our bad attitudes have the ability to spread and infiltrate every square inch of our home and family." Karen: It's true! When we study (or write) on a subject we are definitely tested. By God's grace we will make progress. Lynn: I understand about internalizing things, which seems so much easier than speaking the truth in love (which seems so scary sometimes!). May the Lord give you wisdom and words soaked in love. Julie: In one of your posts you mentioned procrastination... that's my achilles heal. Please pray for me. The study from last week, "mind" to the study this week, "attitude", I have taken a good look at my behavior and thoughts. There have been many challenges with our church in addition to that challenges with a middle schooler and then there is life in general. This study has been a great blessing to me and growing me deeper with Go. I think most people would say I am a pretty positive and encouraging person. In many ways I am. But outwardly we can appear one way while inwardly we're grumbling, criticizing, etc. God sees all of it! 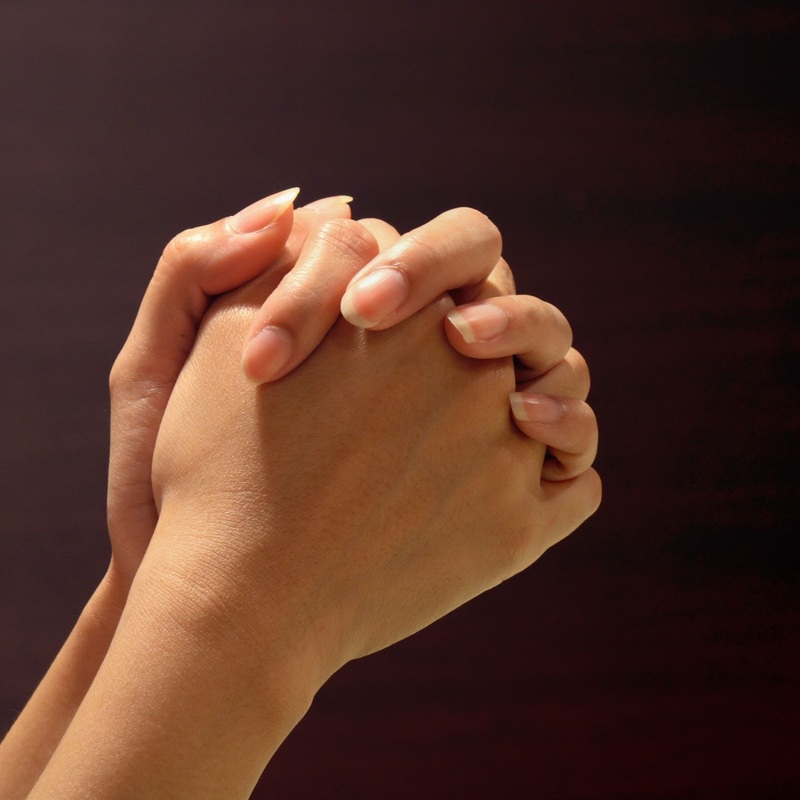 When I take the time to pray and really check my heart, I know that I need to allow God to help me with my attitude. Because what I'm doing (like serving in ministry or serving my family) isn't the only thing that's important. It matters what my heart attitude is while doing it. Thanks for another great chapter, Julie! I am focusing on how my thoughts and attitudes reflect what's in my heart. I pray that God will heal my wounded heart and cure me of my stinking thinking. :) I so know that my thoughts and attitudes directly impact who and how I am with my family. I do consistently want to reflect the fruits of joy and peace and love to them. I am grateful for this period of self reflection and focus on my Father who is able to do over and above all that I can even think to ask. I pray that the sweet presence of the Holy Spirit grow more and more visible as I surrender daily. I have hanging on a wall in my cubicle at work - James 4:7 says, “So be subject to God. Resist the devil [stand firm against him], and he will flee from you.” This verse has been very helpful to me this past week. I know my attitude can be very mean and my mind gets into a negative thinking and makes my life miserable. Reading and meditating on the good, has helped me. Doing this online study is great! thank you very much. This week at work was challenging and I did get those nasty negative thoughts in there; but an hour later realizing that it is not right; I changed my attitude to be greatful. I missed the first week; but read the first and third chapter yesterday. I am looking forward to doing this study and start praying all week. Thanks again and look forward to reading more and meditating on what is right. Over the last week....I am late with my post.....I have struggled with my attitude. Mostly I feel it coming out on my daughter. You see my grandmother passed and a lot is going "wrong" in my world right now. It hard for me to keep a good attitude but I am trying with Gods help.